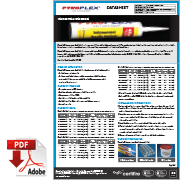 Pyroplex® Intumescent Acrylic Sealant is a one-part high modulus, halogen free material. The product is primarily designed for use in internal application. It is suitable for perimeter pointing around services and for use in low movement linear joints in walls and floors. 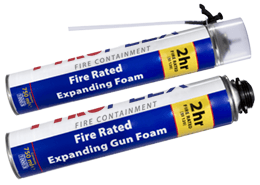 Excellent adhesion with common building materials. Cartridges and foil packs are fully recyclable. Available in white. Other colours are available on request. • Mineral fibre min. density of 100kg/m3 = mineral fibre backing seal width x2. • Refer to WF Report No. 178415 for further details regarding configuration and exposure conditions. 1. For internal applications ensure that all the surfaces are clean, dry, sound and frost free. Clean all joints thoroughly to ensure that the adhesion of the silicone to the substrate is not impaired. 3. 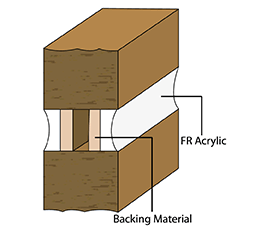 Install backing materials as required and fill the cavity with acrylic. 4. 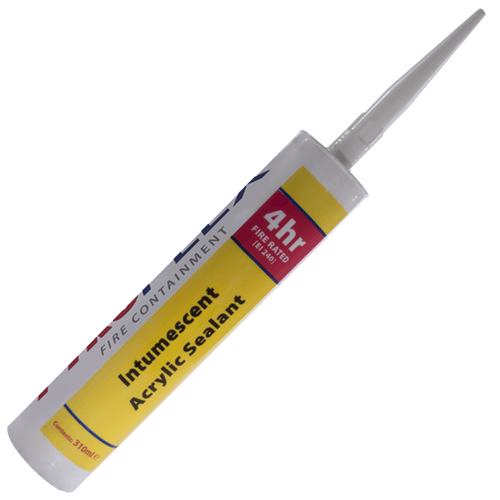 The joint should be tooled within 5 minutes of application to ensure good a contact between the acrylic and substrate, tooling of the sealant also gives a smooth and professional finish. 5. Dispose of spent cartridges in accordance with local regulations. 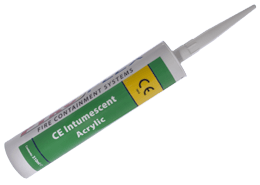 A number of independent fire resistance tests have been carried out to confirm the suitability of the product and to demonstrate product compliance by utilising BS EN 1366-4 and other international standards. 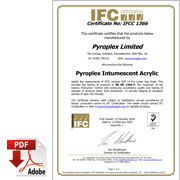 Pyroplex® Intumescent Acrylic Sealant has a European Classification EN 13501-2.